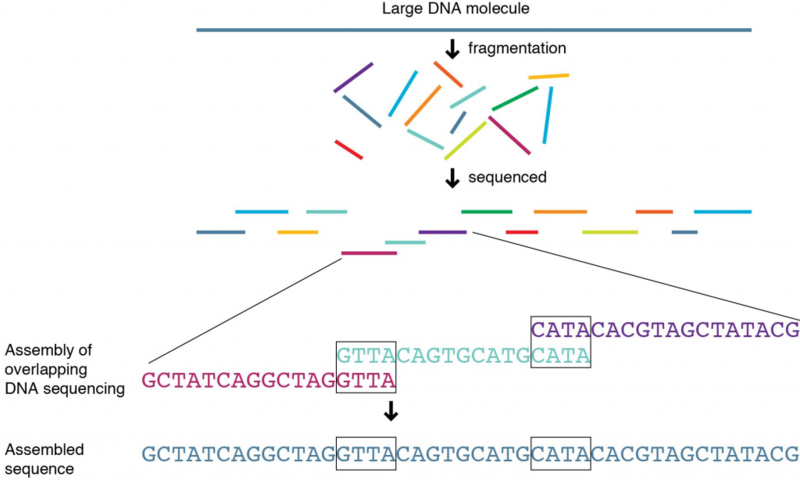 During whole genome sequencing, researchers collect a DNA sample and then determine the identity of the 3 billion nucleotides that compose the human genome. The very first human genome was completed in 2003 as part of the Human Genome Project, which was formally started in 1990. Today, sequencing technology is much more efficient, and a human genome can be sequenced in a matter of days for under $10,000. The first human genome cost $2.7 billion. Today, most genetic testing focuses on one or a few genes, rather than the entire genome. However, with the falling cost of genome sequencing, more individuals are pursuing this option. Physicians can look at an entire genome to see how specific treatments for a disease will be affected by an individual’s unique genetics. For example, the physician may opt to look at genes involved in drug metabolism when deciding dosage. In the future, whole genome sequencing may enable everyone to develop a personalized treatment plan. • Creating personalized plans to treat disease may be possible based not only on the mutant genes causing a disease, but also other genes in the patient’s genome. * Genotyping cancer cells and understanding what genes are misregulated allows physicians to select the best chemotherapy and potentially expose the patient to less toxic treatment since the therapy is tailored. * Previously unknown genes may be identified as contributing to a disease state. Traditional genetic testing looks only at the common “troublemaker” genes. * Lifestyle or environmental changes that can mediate the effects of genetic predisposition may be identified and then moderated. * The role of most of the genes in the human genome is still unknown or incompletely understood. Therefore, a lot of the “information” found in a human genome sequence is unusable at present. * Most physicians are not trained in how to interpret genomic data. * An individual’s genome may contain information that they DON’T want to know. For example, a patient has genome sequencing performed to determine the most effective treatment plan for high cholesterol. In the process, researchers discover an unrelated allele that assures a terminal disease with no effective treatment. * The volume of information contained in a genome sequence is vast. Policies and security measures to maintain the privacy and safety of this information are still new.